Summer. It is amazing to me how we as moms can have such a love hate relationship with summer. Come about April most of us begin to long for the “lazy” days of summer. We are tiring of the lunch making, the homework, the after-school activities, the schedules. We dream of days filled with no schedule, moments by the pool, sleeping in a little later (if we are lucky), no back packs to check, no homework to battle through. Then summer hits. BAM! Within the matter of a few days we begin to seek out activities. What will we do with these children all summer? The camps, birthday parties, family vacation, reunions, etc… fill the calendar and we realize that in no time at all we will back at it. We gaze at the long list of all we thought we’d do this summer and realize there is no way! It is a love hate relationship. But isn’t much of life that way? Too often we look forward to something missing the moments right in front of us. We find ourselves in the midst of the time we anticipated and we panic, we realize we have failed to plan or the reality of our limited time hits us in the face. In a matter of moments we can go from dreaming to being overwhelmed and panicked. The words ” I’m bored”, are uttered by a child and our emotions go through the roof. Our family intentionally cleared our calendar this summer. No family vacation. No camps. We decided instead to simply be at home, a home we just had the opportunity to build. We decided to go with the unexpected, to spend more time with family and friends. I decided to keep pursuing better health and engage in more of my creative pursuits. Sounds great doesn’t it. A “lazy” summer at home. Well, let me be honest. Two weeks in and the above picture is where I think I want to be. I’m missing the family vacation. I’m doubting our decisions-even though we reached them as a family. I see what others are doing and I feel the comparisons creeping in. Why? Why do we go there? I know why I do. I take my eye off the prize. I look around more than I look within. I forget that I am right where God wants me to be, with the people He has entrusted to my care for just a little while. I forget that through prayer and seeking we made decisions we believed were best for us. I forget to trust He will see us through, even the leaner times, the darker times. 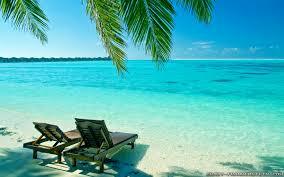 So, while I have moments wishing I was in a chair on the beach, I am going to focus on being where I am. I’m going to treasure the moments by my pool listening to nieces and nephews laugh, taking in the squeals of high school girls, breathing in deep the quiet moments captured sitting alone in the sun by my little space of paradise. I’m going to be thankful for a home in which we rest, land safely. I’m going to appreciate the fact my 16 year old daughters would rather be here than elsewhere, that they still share with their dad and I. Summer is here. I have anticipated it. I’m going to rest in it-soak it up. I’m not going to rush it. I’m not going to fall prey to the comparisons, the regrets, the looking around. I’m going to take today for what it is and be-be in the moment, be grateful, be content. Great post. We particularly love summer up here, as the Canadian winters are BRUTAL. That’s a great decision to make! Enjoying the moment, the day by day and being content with it. Enjoying every season as it comes! Blessings. Enjoyed reading this very much. A great word to us all.